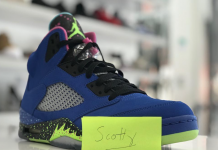 Trinidad James Bashes Air Jordan V "Bel Air"
You normally don’t hear Hip Hop artists telling you how they REALLY feel about upcoming releases but today, Trinidad James stated “Not bad. 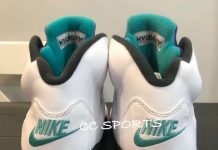 Colorway is not gonna really make it sell out. 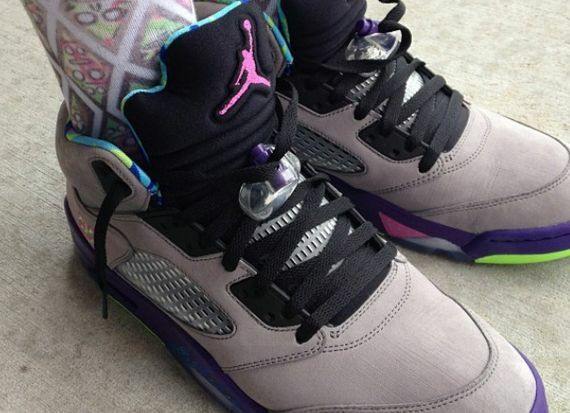 I think the whole “Fresh Prince” hype is gonna play a major part in the sales of this. Wouldn’t camp for these period”. Is it the Colorway or the Concept behind it? Let us know what you think in the Comments section. I think when the smoke settles and Jordan brand isn’t retroing shoes any more this is going to be a stand out shoe. 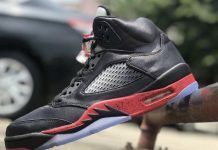 This is actually one of the most interesting things I have seen being done with a 5 besides the black grapes, the Bins and the military green Undftds. 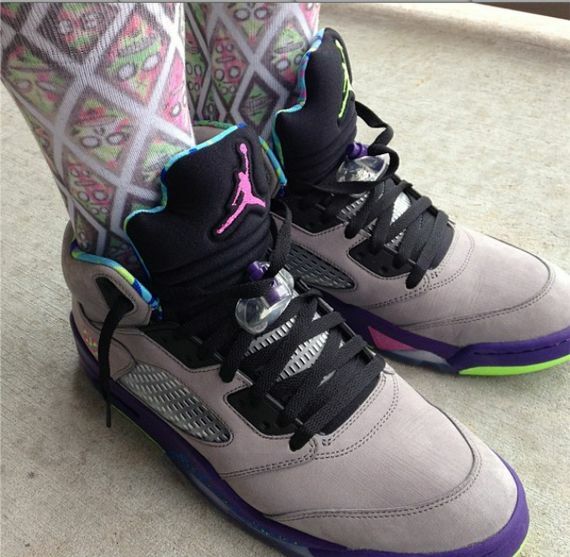 I don’t like 5s but I’d get these. Put your nose down. They free for you ill pay for em.